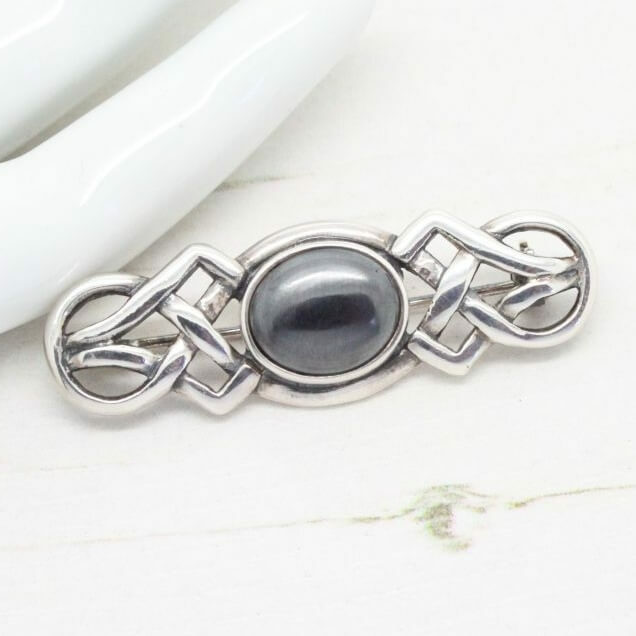 Description: This ornate sterling silver brooch features a beautiful Celtic design with a hematite pearl centre. 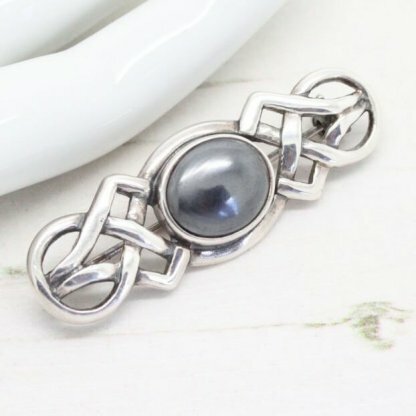 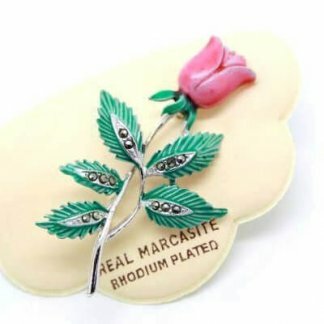 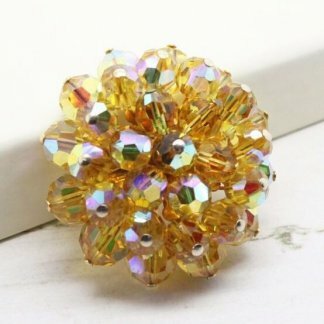 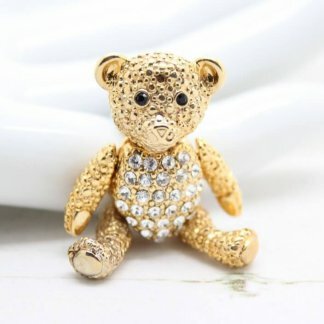 A very stylish item this brooch would grace any outfit with ease. 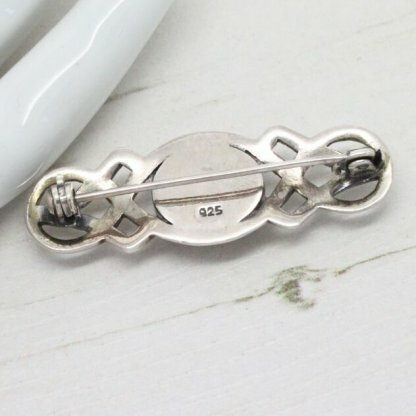 Crafted in sterling silver and fully signed to the back 925. This brooch measures an impressive 4.4cm at longest point, with a secure roll lock clasp to the back.